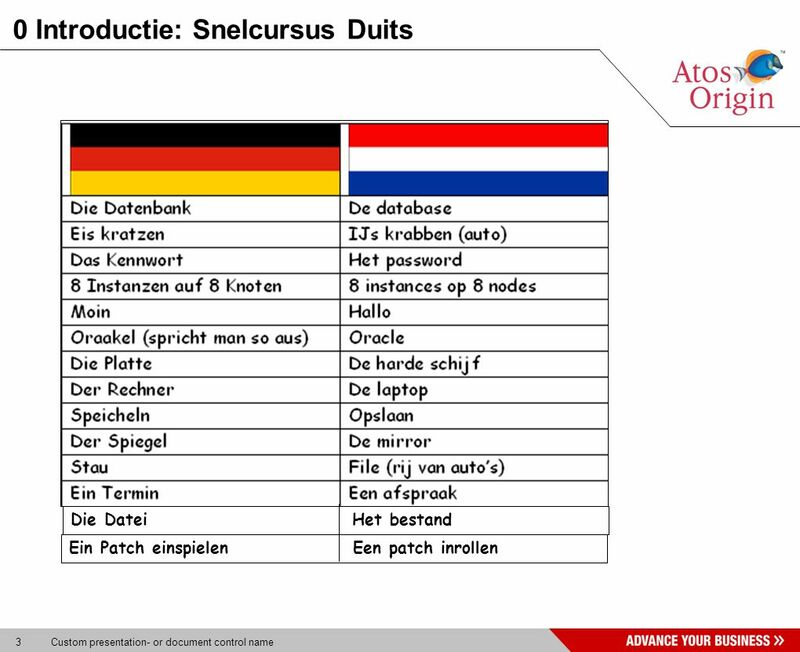 Atos, Atos and fish symbol, Atos Origin and fish symbol, Atos Consulting, and the fish itself are registered trademarks of Atos Origin SA. 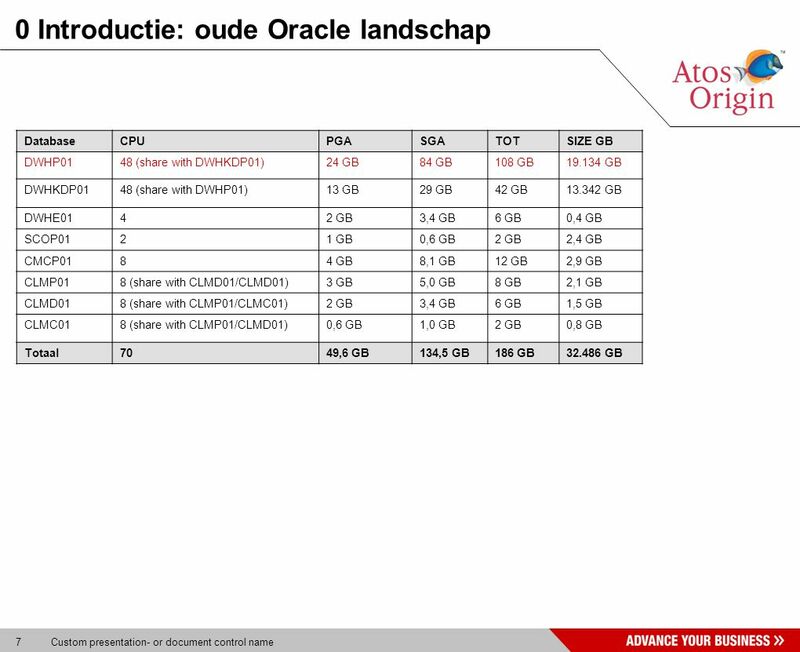 October 2009. 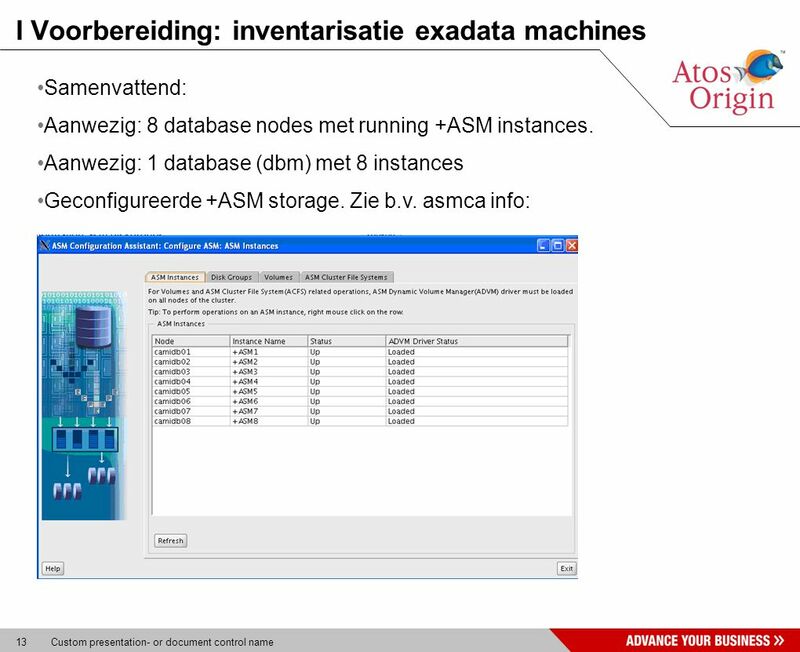 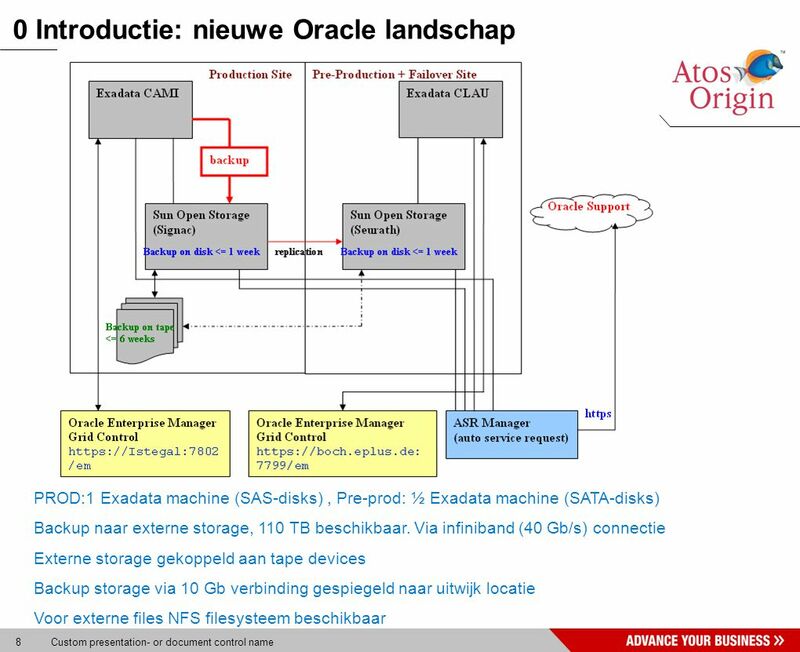 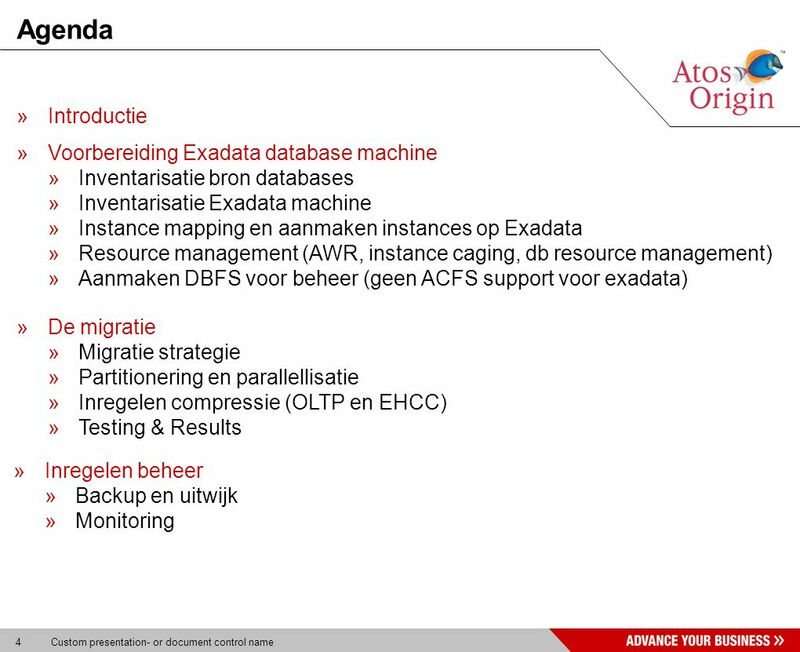 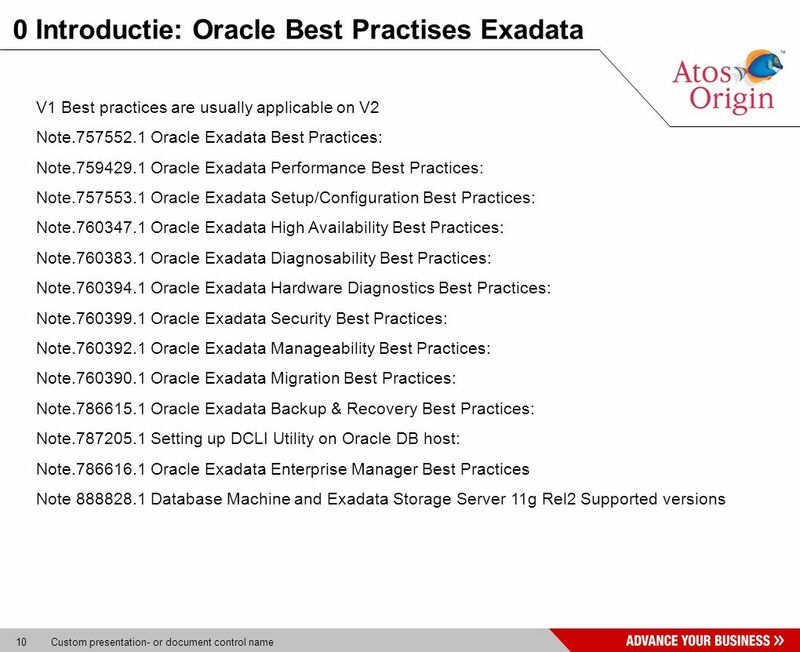 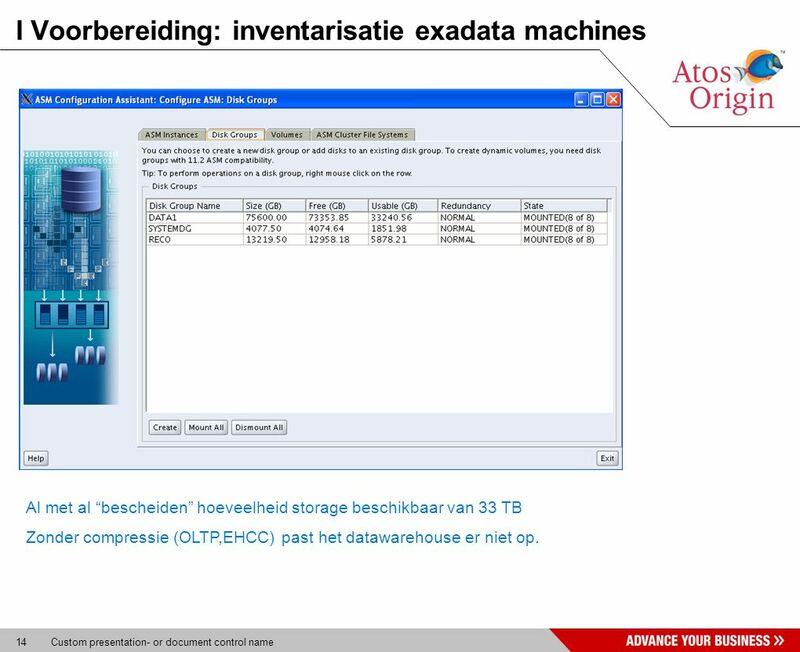 14 14 Custom presentation- or document control name I Voorbereiding: inventarisatie exadata machines * Parameter onderzoek database Al met al “bescheiden” hoeveelheid storage beschikbaar van 33 TB Zonder compressie (OLTP,EHCC) past het datawarehouse er niet op. 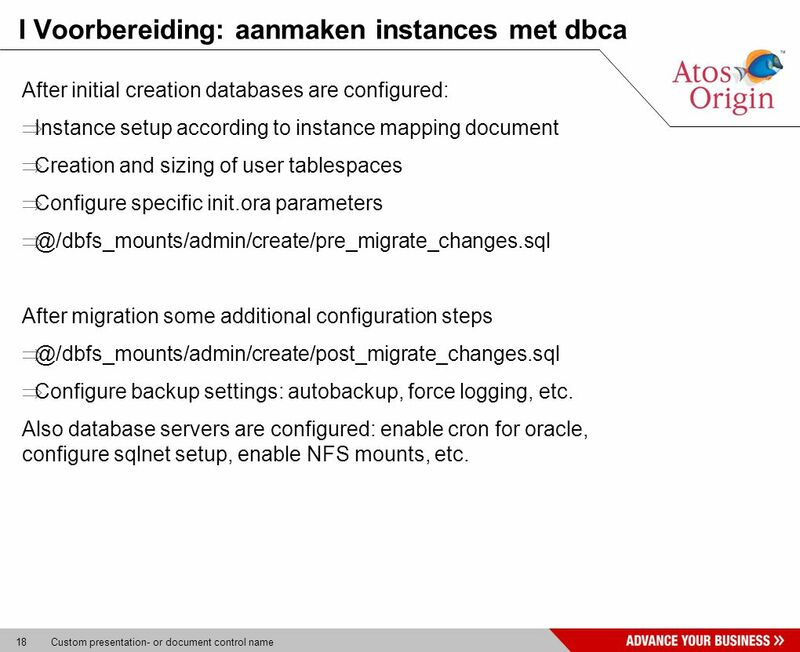 18 18 Custom presentation- or document control name I Voorbereiding: aanmaken instances met dbca After initial creation databases are configured:  Instance setup according to instance mapping document  Creation and sizing of user tablespaces  Configure specific init.ora parameters  @/dbfs_mounts/admin/create/pre_migrate_changes.sql After migration some additional configuration steps  @/dbfs_mounts/admin/create/post_migrate_changes.sql  Configure backup settings: autobackup, force logging, etc. 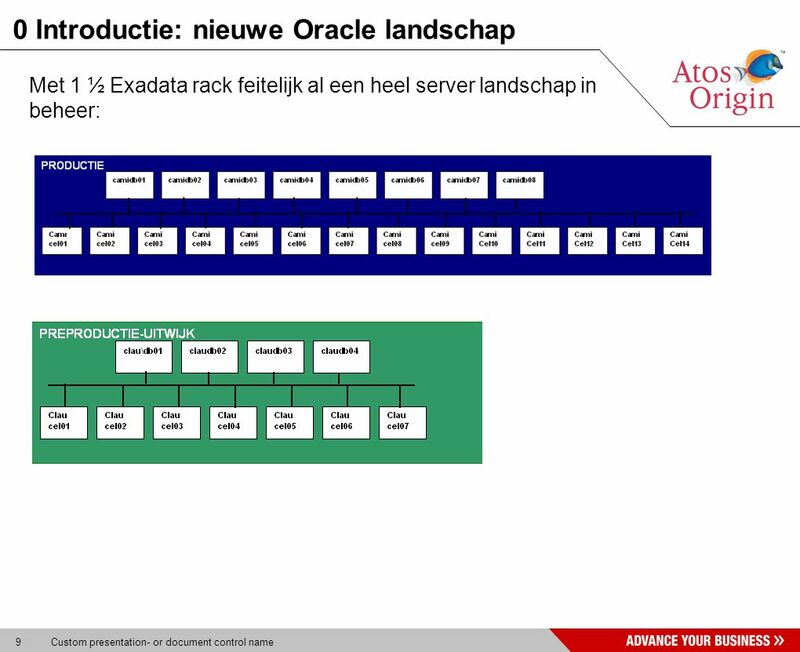 Also database servers are configured: enable cron for oracle, configure sqlnet setup, enable NFS mounts, etc. 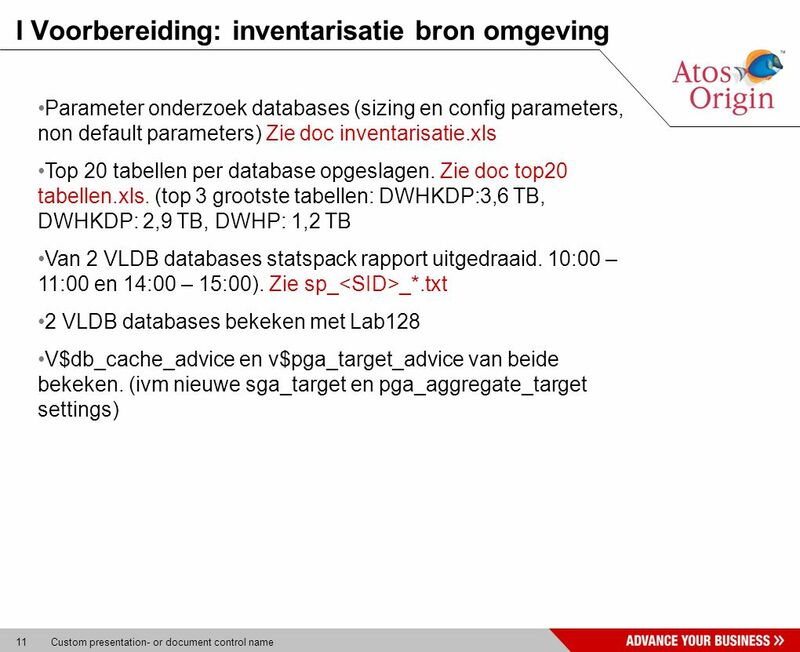 26 26 Custom presentation- or document control name II Migratie: enkele findings Locked statistics Dbms_pipe in gebruik. 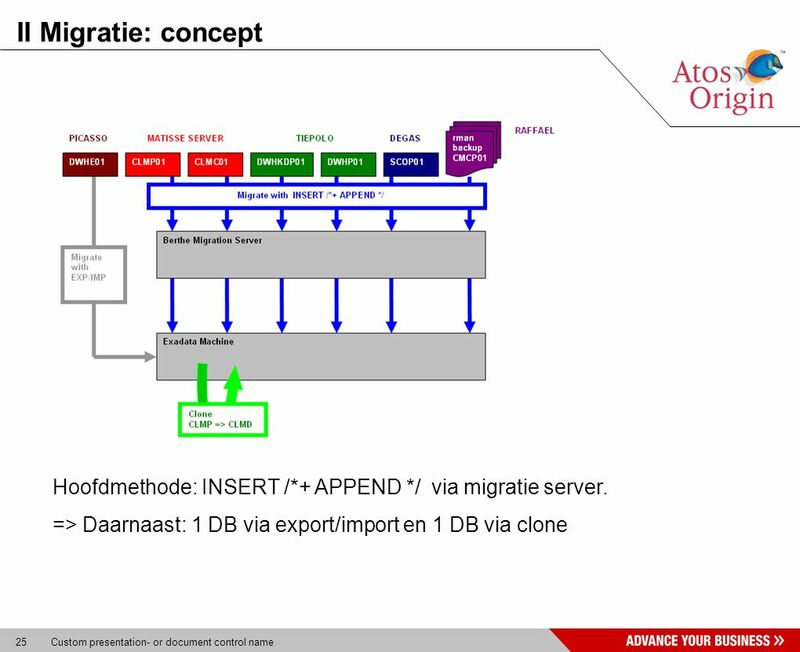 Niet ondersteund door RAC Tegenwoordig moet je als je naar buiten toe wilt met utl_smtp een access control list maken. 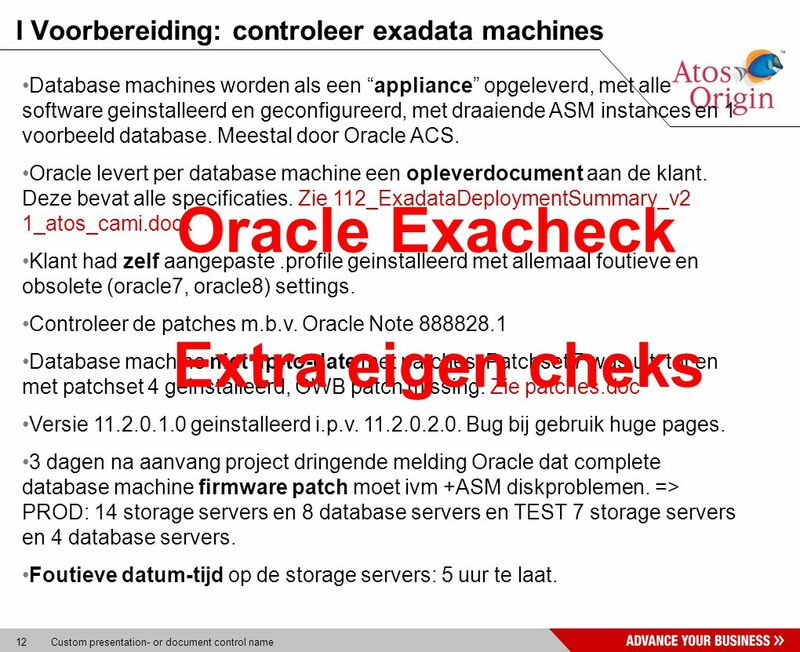 Dat is nieuw in 11g. 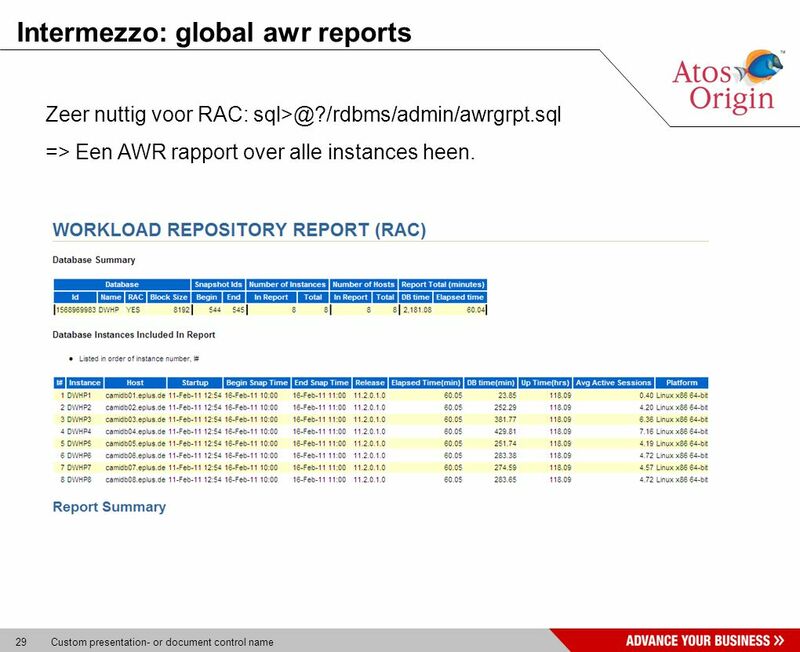 29 29 Custom presentation- or document control name Intermezzo: global awr reports Zeer nuttig voor RAC: sql>@?/rdbms/admin/awrgrpt.sql => Een AWR rapport over alle instances heen. 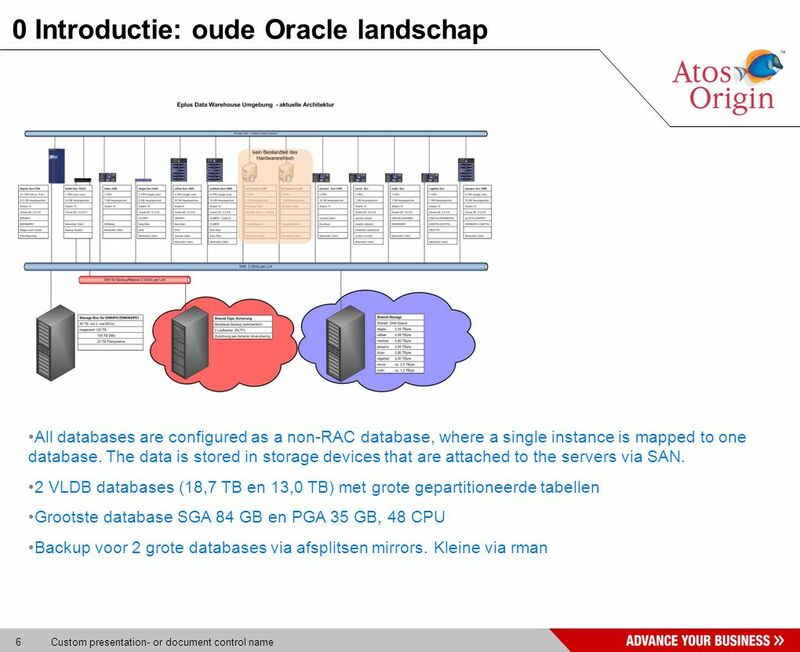 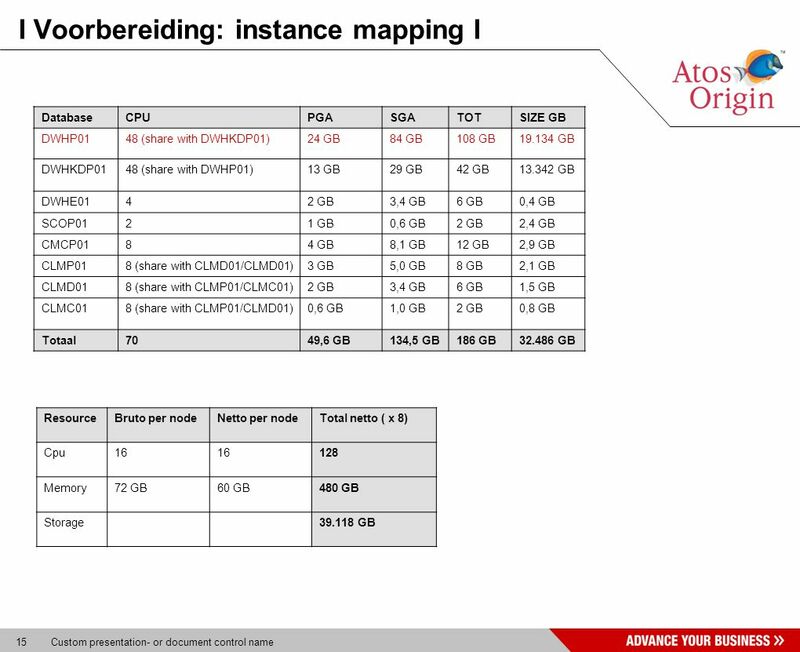 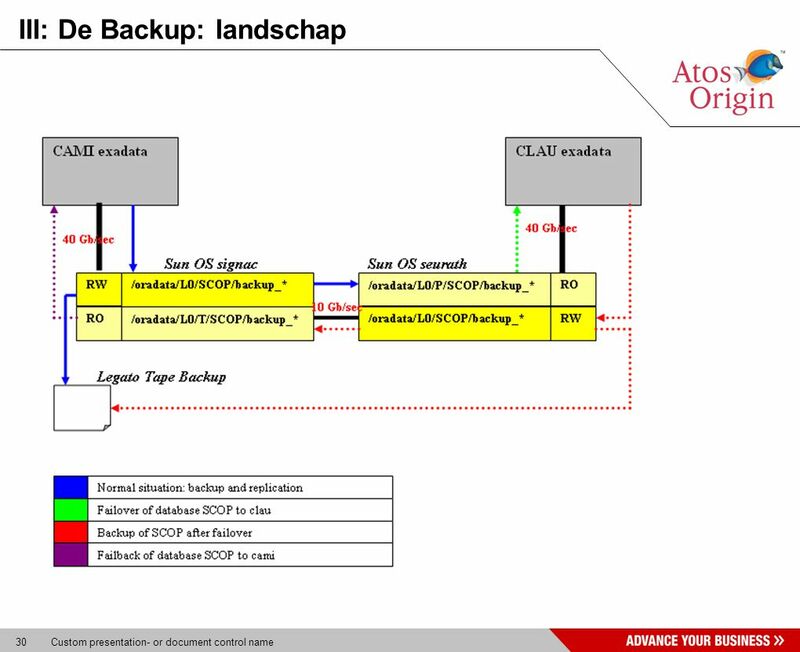 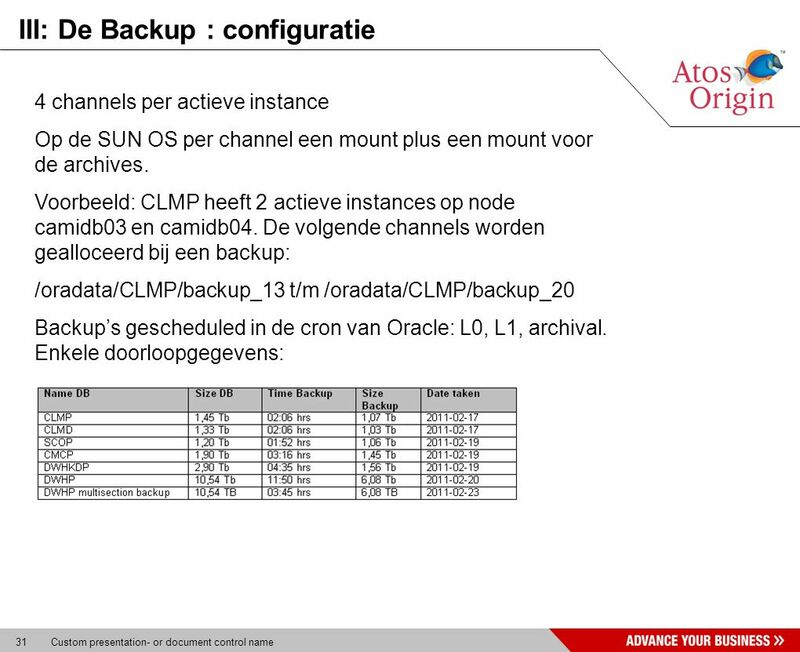 32 32 Custom presentation- or document control name III: De Backup : doorlooptijden snelheid backup DWHKDP naar exadata zelf:  Database DWHKDP van 1 TB  Allocate 16 channels, 2 channel per database node  Maken van een multi-section backup 18 minuten !! 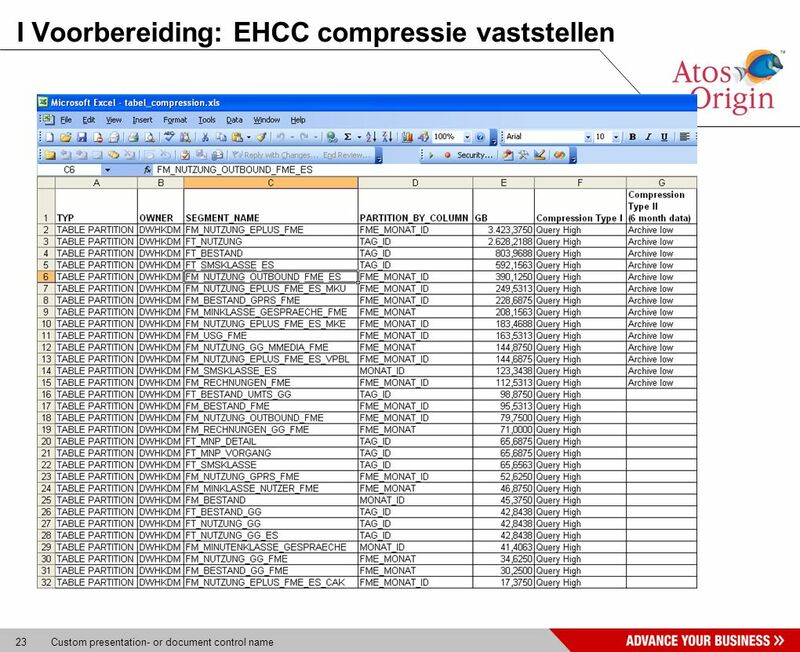 Contrast: compressed backup 3:20 minuten !! 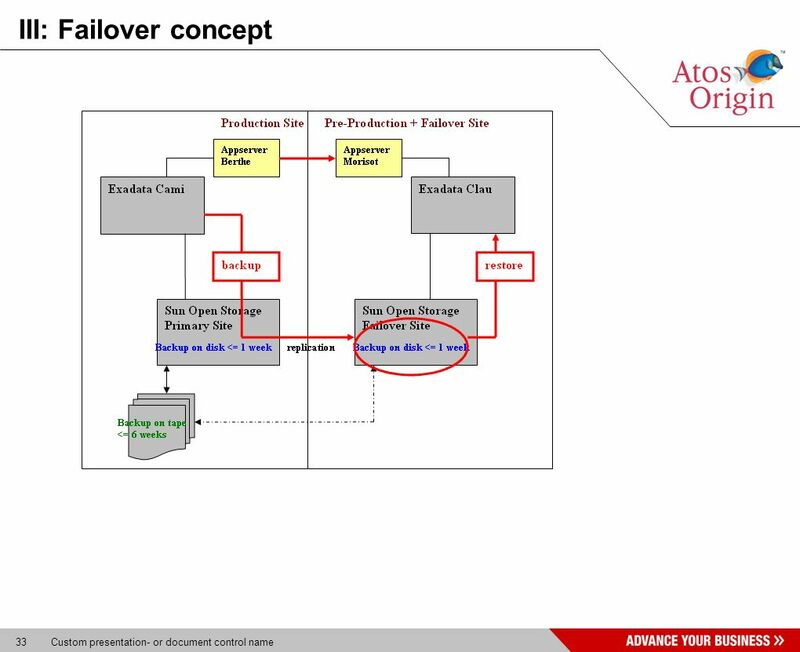 Download ppt "Atos, Atos and fish symbol, Atos Origin and fish symbol, Atos Consulting, and the fish itself are registered trademarks of Atos Origin SA. 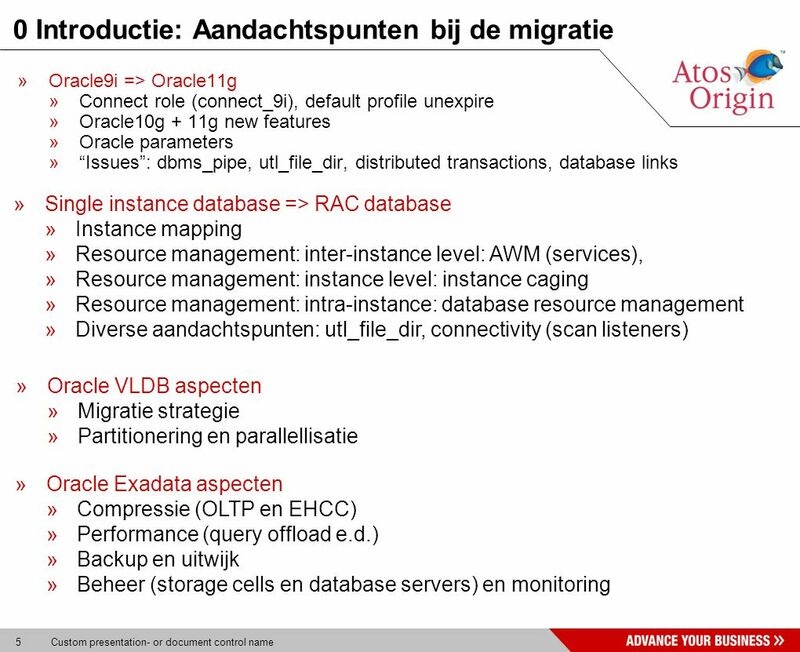 October 2009."